Jordan dominated the field at Augusta National in April 2015 to earn his first Green Jacket and his first Major Victory. Spieth accomplished many firsts, including the impressive feat of achieving 19-under par, finishing the tournament at -18. After his win at Birkdale in 2017, Spieth was aiming for a win at the 2018 PGA Championship Bellerive to complete his career grand slam. Unfortunately he was unable to secure a victory. 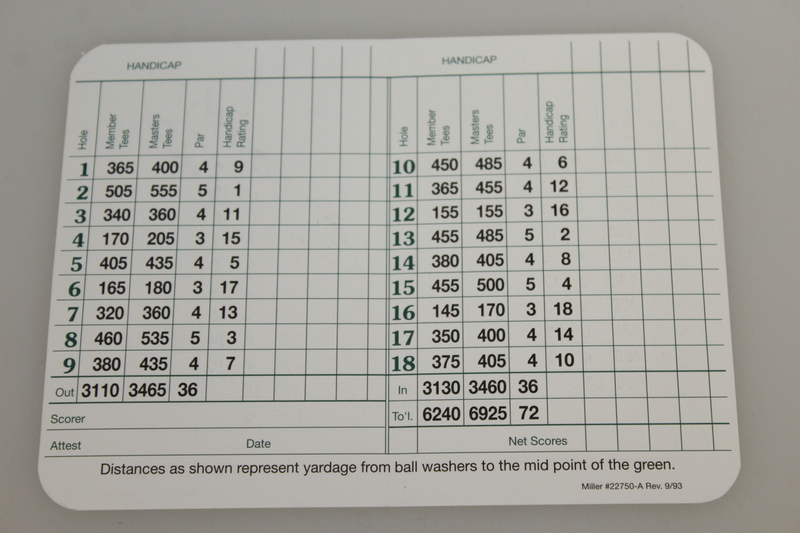 This lot contains an Augusta National scorecard signed with a FULL signature by Jordan Spieth. Spieth has taken to a shorter signature in recent years, making his full signature a seldom seen occurrence.